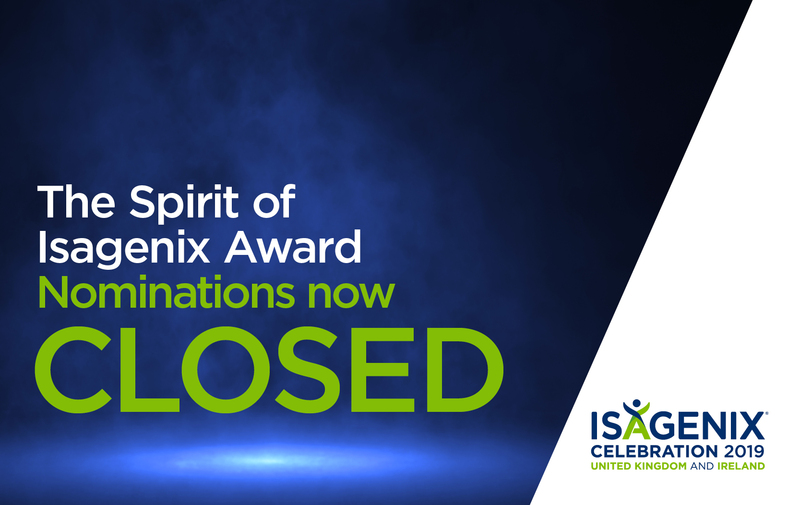 Voting for the 2019 Spirit of Isagenix award is now closed, but stay tuned to find out our top 3 finalists soon! The lucky person will be announced onstage at the Gala Dinner during Celebration 2019 this March. We will see you at Celebration!